Street photography—walking around with a camera, poised to capture life on the fly—has never been more popular than it is now. Back in the day, masters like Alfred Eisenstaedt and Henri Cartier-Bresson prowled the streets with classic film-based Leica rangefinders, but today most street shooters opt for modern digital cameras. While practically any camera can be pressed into service as a street camera (I got pretty good results with a hefty Mamiya RB-67 back in ’72), street photographers favor high-performance cameras with discreetly compact form factors, fast semi-wide-angle lenses and high ISO settings for shooting in low light, and fast, responsive AF systems that can capture decisive moments. That’s a pretty good description of all the cameras we have picked for our Top 10 Street Photography Cameras list below. All the models chosen in this list you can buy new today. 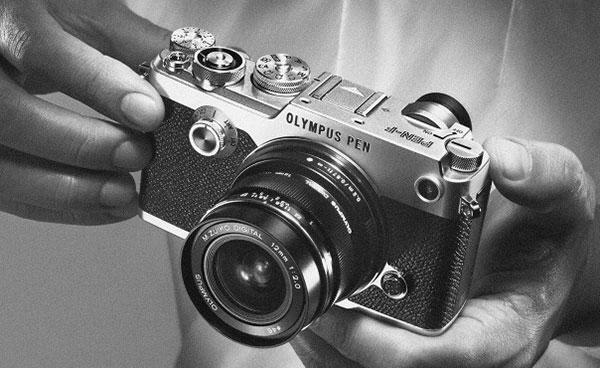 Look for our follow-up article next month where we pick our favorite vintage, analog-based street photography cameras. If you’re an emerging or experienced street photographer looking for a suitable camera you’ll surely find it below (listed in no particular order), but we couldn’t possibly include all of them, so feel free to check the specs of any alternatives that strike your fancy. Good hunting! This ingeniously slim, high-performance magnesium alloy bodied compact GR has been a favorite among street shooters. 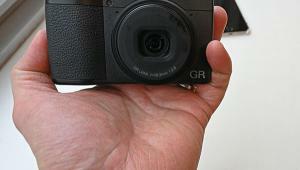 The Ricoh GR II adds built-in Wi-Fi and NFC connectivity, and wireless flash. Its 16.2MP APS-C-format sensor and GR Engine V image processor combine to deliver high resolution along with impressively fast response times, and the low-pass filter has been eliminated to enhance resolution and detail. Its fast 28mm f/2.8 lens facilitates low-light shooting, the creative use of shallow depth of field, and complements its wide ISO 100-25600 sensitivity range. Its hi-res 3.0-inch 1,230k-dot LCD provides crisp, detailed viewing and playback, and the camera supports RAW and JPEG formats. There’s even a choice of two optional optical finders that slide into the hot shoe. Other key features: Full HD 1080p video capture, Macro mode, 9 image effects including Retro and Cross-Processing, a full range of auto modes including Face Detection, a maximum full-res burst rate of 4 fps, a dual-axis electronic level, and Eye-Fi card compatibility. 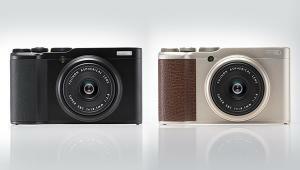 Showcasing a superb high-spec 35mm-equivalent f/2 lens that’s ideal for street shooting in low light, Fujifilm’s unique one lens compact X100F also offers a hybrid electronic viewfinder that lets you switch between optical and electronic viewing, and adjustable magnification for the electronic rangefinder for more precise manual focus control. It delivers outstanding image quality and speed thanks to its 24.4MP APS-C X-Trans CMOS III sensor coupled to an X-Processor Pro Image Processor that enables full-res bursts up to 8 fps, extended sensitivity settings up to ISO 51200, Full HD 1080p video recording at 60 fps, and a claimed AF speed of only 0.2 sec. Its 91-point hybrid AF system includes 49 phase-detect points that can be divided into 325 total areas for pinpoint accuracy, and there are a wide range of AF modes and tracking settings. Other features: a 3,0-inch 1.04 m- Dot LCD monitor, extensive film simulation modes, built-in Wi-Fi, and an integrated ISO dial and Rear Focus Lever. 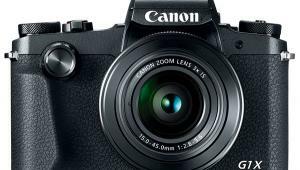 Canon has upgraded its elegantly petite entry-level DSLR by adding many of the key features found on its higher-level broad-spectrum models, including a 9-point phase-detection AF System with Dual Pixel CMOS AF for enhanced speed and performance that makes it a great choice for street photography. 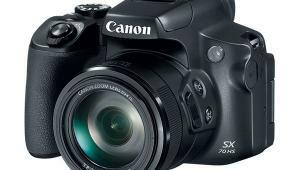 The Canon SL2 packs a 24.2MP APS-C-format CMOS image sensor coupled to the latest DIGIC 7 image processor to enable Full HD video capture with continuous AF at 60 fps, native ISO settings up to 25600, expandable to 51200, Scene Intelligent Auto Mode, and a full-res continuous burst rate up to 5 fps. Other features: a 3.0-inch, 1.04m-Dot Vari-Angle Touchscreen LCD and a Feature Assistant guide for selecting the best settings, microphone Input, built-in Wi-Fi connectivity with NFC and Bluetooth. The SL2 crams it all into a body measuring only 4.8 x 3.6 x 2.7 inches and weighing a mere 14.3 ounces! The lineal descendant of the landmark Leica M’s used by the top photojournalists of the 20th century this discreet, quiet analog classic is the ultimate street camera. The Leica M-A is a totally manual, mechanical M-mount 35mm rangefinder camera requiring no battery. Its traditional horizontal rubberized cloth focal-plane shutter provides speeds of 1-1/1000 sec plus B, and its superb bright line range/viewfinder has parallax-compensating, selectable, auto-indexing frame lines for lenses ranging from 28mm to 135mm. It incorporates Leica’s signature silky smooth single-stoke manual film-wind lever, a vintage look rewind knob, and the Leica M’s traditional removable bottom cover with hinged back section for easy loading. 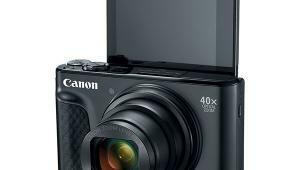 Other features: X sync to 1/50 sec, hot shoe, ISO reminder dial, and motorized winder compatibility. 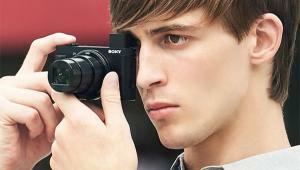 Compact and minimalist, it’s exquisitely made and finished and accepts M lenses from 16mm-135mm. Street price: $4,695.00, body only, in silver or black. The current Leica MP is basically the same as the M-A but with a built-in battery powered through-the-lens (TTL) metering system. 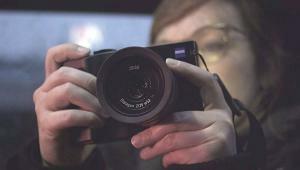 The latest iteration of Sony’s elite full-frame non-interchangeable-lens digital compact, this beautifully made high-performance flagship of the category may be today’s ultimate digital street camera. 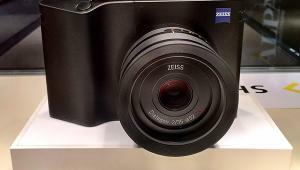 The Sony RX1R II sports a full-frame 42.4MP Exmor CMOS sensor coupled to a cutting-edge BIONZ X Image Processor, a unique Variable Optical Low Pass-pass filter that can be set to deliver maximum resolution or minimize artifacts, and a fast, sharp 35mm f/2.0 Carl Zeiss Sonnar T* standard semi-wide-angle lens that incorporates 3 aspheric elements to minimize chromatic aberrations. 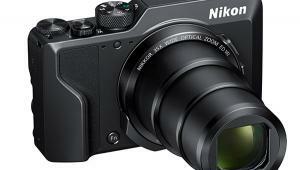 Other high-end features: tilting 3.0-inch, 1,228.8 k-Dot LCD monitor, 0.39 inch, 2.36 M-Dot OLED Tru-Finder EVF, sensitivity settings up to ISO 102400, uncompressed 14-bit RAW image data, a maximum full-res burst rate of 5 fps, high speed AF with 399 Phase-Detect points, a 1200-zone Evaluative Metering System, Full HD 1080p video capture at 60 fps in XAVC 5 Format, built-in optical SteadyShot image stabilization, and Built in Wi-Fi with NFC. Practically any recent smartphone with a hi-res camera of 8MP or higher is a great choice for street photography for two main reasons: you always have it with you, and we’ve become so accustomed to smartphones, people won’t notice you’re taking pictures! If you’re in the market for a new smartphone optimized for shooting street pictures or videos Google’s new Android 9 Pie-powered Pixel 3 (or the larger Pixel 3 XL) is an excellent choice because it provides Night Sight that lets you capture sharp, colorful shots in very low light, packs a 28mm-equivalent 12.2MP (f/1.8, 1.4-micron) primary camera with phase-detect AF on the rear, and a 19mm-equivalent 8MP (f/2.2) primary camera and an 8MP (f/1.8) secondary camera on the front. The Pixel 3 uses AI-based Top Shot to optimize picture parameters, is IP68 water and dust resistant, and incorporates a Titan M security chip. It’s powered by a 2.5GHz octa-core processor, comes with 4GB of RAM, has 64GB of non-expandable internal storage, and can record 2160p video at 30 fps, and Full HD 1080p video at 30/60/120 fps. This svelte high-performance L-mount mirrorless camera is being offered with the outstanding Elmarit-TL 18mm f/2.8 ASPH lens that incorporates 4 aspheric surfaces to achieve superlative correction and provides a 27mm-equivelent focal length range that’s ideal for street photography. The Leica CL employs a 24.2MP APS-C-format CMOS sensor coupled to an advanced Maestro II Image Processor that enables it to shoot full-res bursts at up to 10 fps, provide sensitivity settings up to ISO 50000, and record UHD 4K video at 30 fps and Full HD 1080p video at 60 fps. Other key features: a 2.36 M-Dot EVF, a 3.0-inch 1.04 M-Dot Touchscreen LCD, a high-speed 49-point contrast-detect AF system, an electronically controlled shutter with a top speed of 1/25,000 sec, a top LCD control monitor, and built-in Wi-Fi connectivity. The L-mount enables the use of Leica M-mount lenses, and future Panasonic and Sigma lenses will also be offered in L-mount, expanding the CL’s optical possibilities. This beautifully retro-styled compact Micro Four Thirds (MFT-format) mirrorless camera incorporates a 20.3MP Live MOS Sensor coupled to a high-performance TruePic VII Image Processor enabling it to achieve a maximum full-res burst rate of 10 fps, sensitivity settings up to ISO 25600, and record Full HD 1080p video at 60 fps. 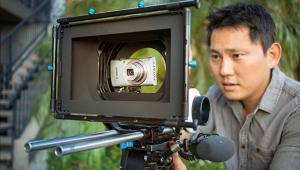 It has 5-axis in-body image stabilization to minimize the effects of camera shake, a 2.36 M-Dot OLED EVF, a 3,0-inch 1.037 M-Dot Vari-Angle Touchscreen, and built-in Wi-Fi connectivity. A High Res Shot mode in the PEN-F combines 8 images to achieve an ultra-hi-res 50MP image, a Color Profile Control enhances creative adjustment capabilities and allows 3 presets to be saved, and there’s an extensive range of Art Filters available. Mount a fast wide-angle lens like the 34mm-equivalent M.Zuiko 17mm f/1.8 ($349.00) and the Pen F is an impressive street camera. 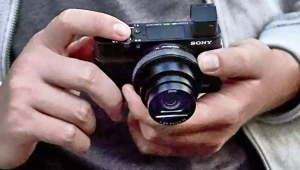 Street shooters will definitely appreciate the Sony RX100 III’s elegantly compact form factor, wide maximum aperture, high-performance, high speed 24-70mm-equivalent, f/1.8-2.8 Carl Zeiss Vario-Sonnar T* lens, and high-spec feature set. It employs an advanced 20.1MP 1-inch Exmor BSI CMOS sensor coupled to a cutting-edge BIONZ X image processor that delivers a maximum full-res burst rate of 10 fps, Full HD 1080p 60i/p video recording at 60 and 24 fps, clean HDMI output, and sensitivity settings up to ISO 12800. 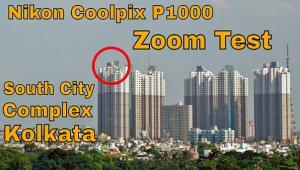 The RX100 III’s High Speed AF system can focus in as little as 0.13 sec, it has a unique 1,440k-Dot Tru-Finder Pop-Up EVF, a back-mounted 3.0-inch 1,229 k-Dot Tilting Xtra Fine LCD, built in Optical SteadyShot image stabilization, and Wi-Fi connectivity with NFC. 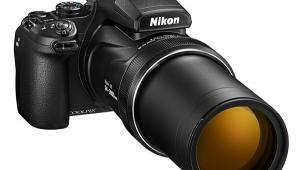 Other features: Auto HDR, Auto Object Framing, Multi Interface Shoe, Manual Control Ring, and a built-in ND filter. 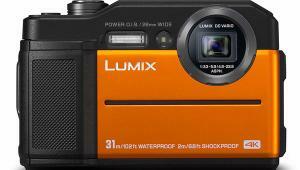 With its compact ergonomic form factor and high-end specs Panasonic’s Micro Four Thirds-format G9 mirrorless camera has created quite a buzz among serious shooters, and that definitely includes street photographers. With a 20.3MP Digital Live MOS sensor coupled to a high-performance Venus Engine Image Processor, it’s capable of shooting 8MP bursts at up to 60 fps, recording UHD 4K 60p video, and enabling sensitivity settings up to ISO 25600. Its advanced 225-area DFD (depth-from-defocus) AF system can focus in as little as 0.04 sec, enabling continuous shooting with AF at up to 20 fps, and its 5-axis image sensor shift stabilization system with Dual I.S. 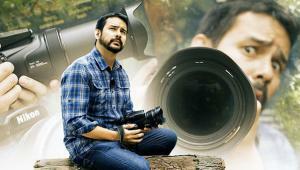 2 provides up to a 6 stop anti-shake advantage in handheld shooting with compatible Lumix lenses. Other features: 0.83x 3.68 M-Dot OLED EVF, 3.0-inch 1.04 M-Dot Free-Angle Touchscreen, built in Wi-Fi and Bluetooth connectivity, Dual UHS-II card slots, a top-mounted Status LCD, and a handy joystick on the rear. 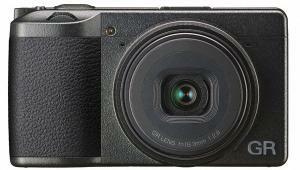 A superb lens for street shooters: Panasonic Leica DG Summilux 12mm f/1.4 ASPH ($997.99).